In order to launch your operations in Texas as a money transmitter, you need to undergo a licensing procedure. This is how state authorities ensure that all such professionals will work up to certain set standards, thus protecting the interests of citizens. 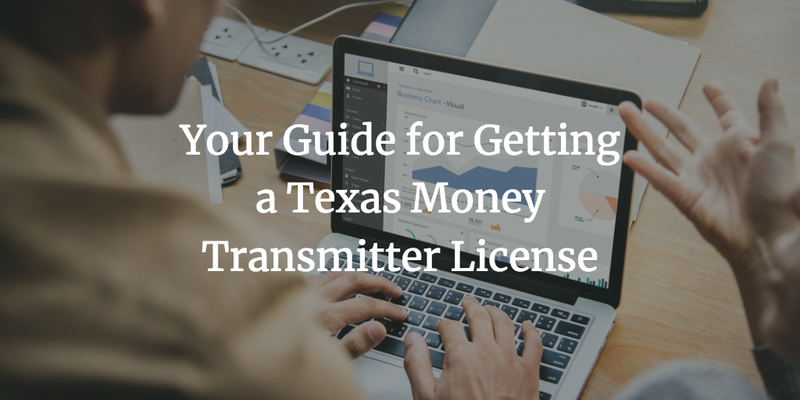 Obtaining your Texas money transmitter license entails meeting a number of requirements set by the state Department of Banking. Among them is posting a Texas money transmitter bond. It is an extra layer of guarantee safeguarding your customers. Here you can find the most important details about the licensing process, as well as insights into the bonding that you have to obtain. The Texas Banking Department is in charge of overseeing the activities of money services businesses (MSBs) in the state, which includes money transmitters. It requires the licensing in order to ensure that your financial condition is satisfactory and that you have the ability to monitor transactions, so that you can prevent misuses such as money laundering, terrorist funding, or financial crimes. All applicants have to complete the Texas money transmitter license application. It is an elaborate document that requires also that you provide a list of additional paperwork for proof. The net worth of your business should be a minimum of $100,000 if you operate from less than four locations. If you have five and more locations, the net worth should be $500,000. If you are planning to work with cryptocurrency, there are special requirements that you should comply with in addition that are set in Supervisory Memorandum – 1037 issued on April 3, 2014. Most notably, you should provide a third-party security audit of your relevant computer systems. You should thus file a copy of the security audit report with its scope and findings. The application fee is $10,000 and is non-refundable. As already noted, you need to present a security in the form of a surety bond, irrevocable letter of credit, or deposit. The most commonly preferred instrument is the bond. The bond amount should be between $300,000 and $2 million. It should be equal to one percent of your total yearly dollar volume of money transmission business in Texas, or the projected volume for your first year of licensure. The exact amount that you post is the penal sum that harmed parties can seek as reimbursement from you on proven bond claims. This is the mechanism through which bonds protect your customers. In order to get bonded, you have to pay a small fraction of the required bond amount, which is your surety bond cost. It is formulated on the basis of the strength of your personal and business financials. The most essential factors that determine your price are your personal credit score, as well as your audited business finances, since the bond amounts are considerable. If your overall application is solid, you can expect bonding rates in the range of 1% to 5%. Need more information about getting your license and bonding as a Texas money transmitter? Don’t hesitate to contact us at 877.514.5146.